The Haynesville Shale rig count resumed its falling trend this week, dropping by four rigs to 147. 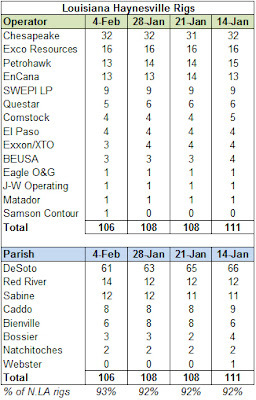 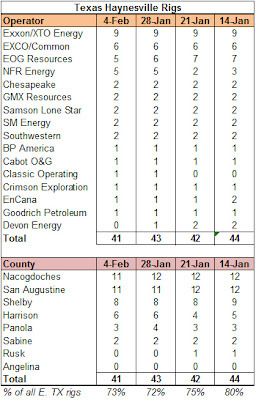 Louisiana (106) and Texas (41) dropped two rigs apiece. 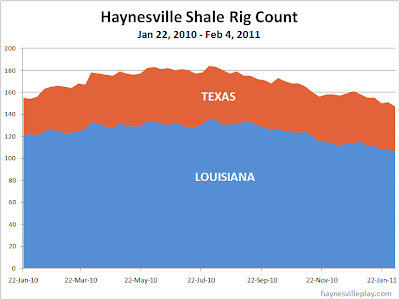 The current level is the lowest count since early December 2009 and is 37 rigs below the peak achieved in July 2010. 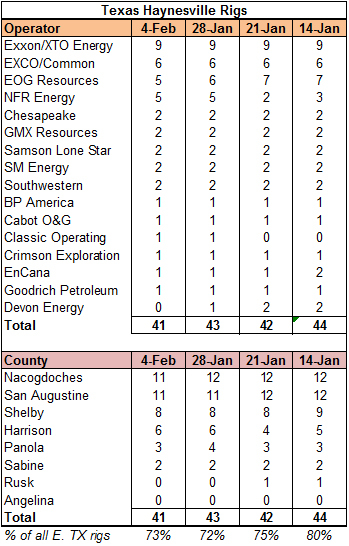 The spreadsheets and maps have been updated.